When I was younger my mom was enamored with the Civil War. I distinctly remember taking road trips throughout the southern United States to visit famous battle scenes and points of interest. My fascination with World War II perfectly mimics my mom's interest in the Civil War. I just cannot get enough. For that reason, I continue to read books about that time period. Soon people can use my blog as a referral site for great World War II novels. 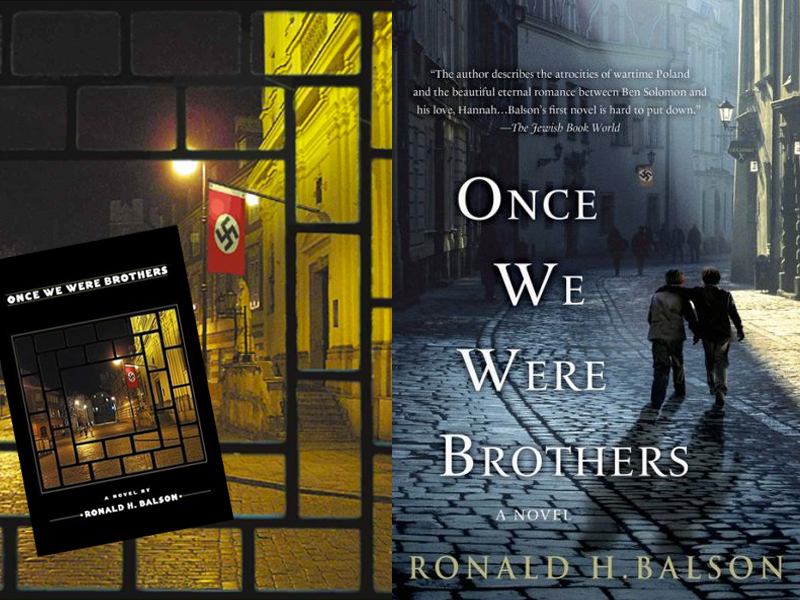 On that note, Once we Were Brothers is a beautiful story about two boys torn apart by Nazi Europe. Also highlighted, is the love story between Ben and Hannah. Most of this book takes place through flashbacks as Ben recounts his tale to Cat and Liam (can't tell you who they are or else I'll give away parts of the story)! Several moments in this novel brought me to tears. Like my mom, I'd love to take a trip someday to various places in Europe that I've read about. Because of this book, Poland is definitely on my list. For those of you as interested in this time period as me, or for those just looking for a good book, this is another definite must read. Next on the list, The Good German (I'm sorry, it appears I can never be satiated). I am also very interested in WWII, I have read so many books about it, but I've never heard about this one ! It looks like a very moving story and I would love to read it if I get the time. Have you read "Sarah's Key" ? If not, it is also a must read !